Ray Bradbury is, of course, one of the most well-known science fiction authors in the United States, in no small part because his parable about censorship Fahrenheit 451 (1950) is now a standard component of the English curriculum in many high schools. He was more of a short story writer than a novelist, really. 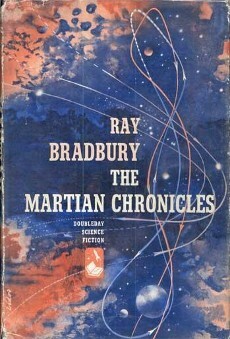 Two of his best known works are cobbled together or “fixed up”, loosely connected story collections: The Martian Chronicles, and Dandelion Wine (1957). 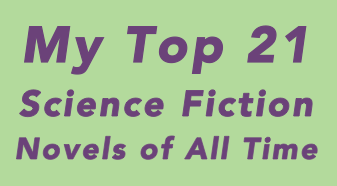 A lot of the stories in The Martian Chronicles are not perhaps what you might expect. There is an eerie, otherworldly quality to this book that is at odds with a lot of the kinds of stories Bradbury’s contemporaries were writing at the time (often more straightforward tales for man conquering the universe through technology). Bradbury’s writing is poetic and beautiful and has a kind of clean, bright clarity as well as a unique, dreamy quality. His work has been hugely influential on the genre and much of it has been adapted to other media.